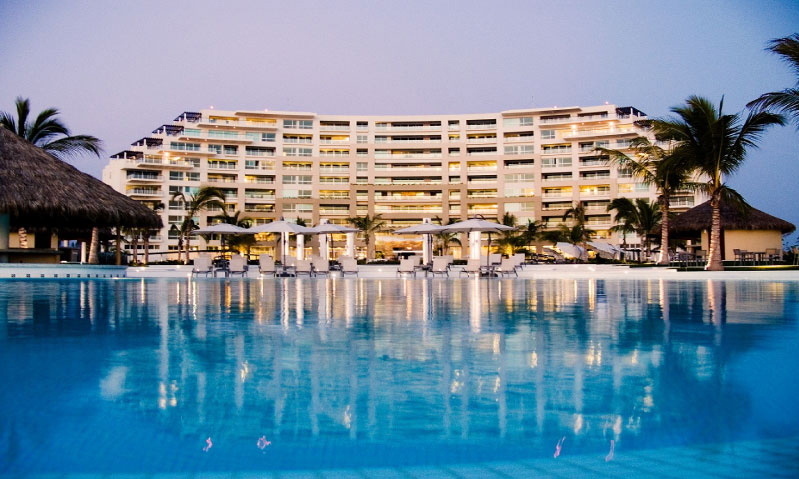 Delcanto Residences is conveniently located right on the exclusive Nuevo Vallarta Flamingos Beach. Located in one of the most breathtaking North Shore developments, Delcanto is adorned with coconut palms, lush vegetation, exclusive golf courses and access to the beautiful blue waters of the Pacific. To the left of Delcanto is a turtle reserve and sanctuary. Several times a year you will witness baby turtles being hatched. Delcanto’s turtle watch program supports the Olive Ridley sea turtles’ safe journey back into the ocean. The resort town of Nuevo Vallarta is 10 minutes away, Bucerias another 10 minutes and Punta de Mita is 20 minutes away. The resort is 25 minutes from the Puerto Vallarta Airport.